Kin is an olive skinned shinigami, standing over 6ft tall with a hairless oval head, which has 9 nicely patterned dotted tattoos stamped over it. 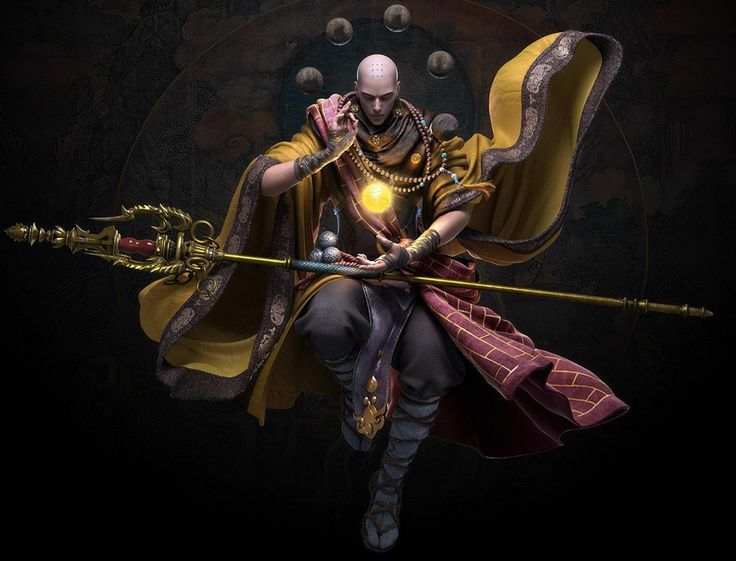 Weighing over 86 kg, Kin is neither skinny nor fat but instead has a moderate body built stature wrapped up under his monk robes, beads, sandals and bracers. His eyes are hazel in color with a nicely carved black eyebrow stationed above them. Kin is a hardworking, well reserved person, who spends most of his time mediating and training. He values personal hygiene and also show respect to those who keep it. Hard-work is a brand on him and as such doesn’t tolerate lazy people around him. However, exceptions can be made if he acknowledges the person’s efforts. He’s also a quick thinker and occasionally carries out his activities in an unconventional manner, and after his ordeal as a human he really gives into his emotions. 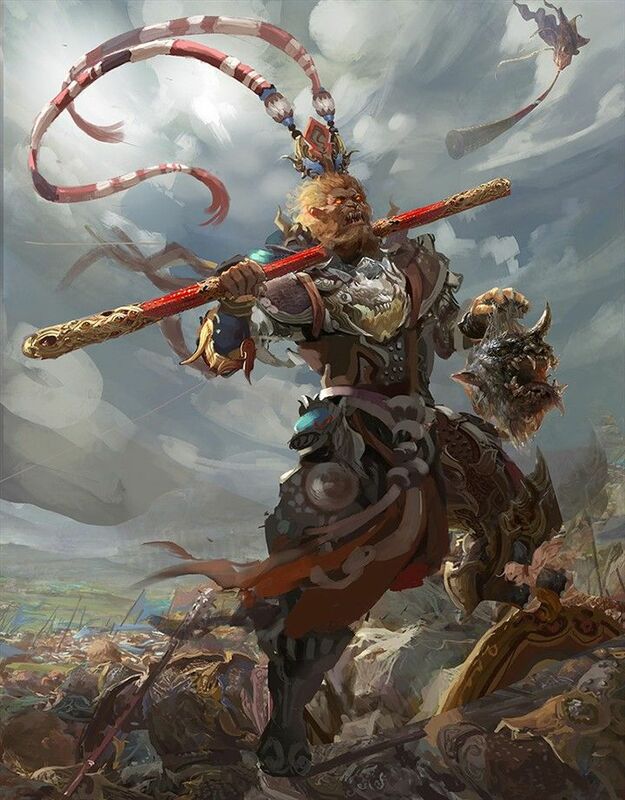 Born and Raised in china, Kin Ryuu never had any sibling, at least none that he knew of other than his brothers which he grew up to know at the monastery. Left behind as a baby, Kin never grew to know what family was all about other than that of the bracket of boys which surrounded him. like most children out there, kin suffered a rigorous child hood being worked to the bone for every meal he had. This to the monks was a way of life maintained the dignity of man. Kin at the age of 10, became accustomed to this mode of life and quickly grew interest for their other practices which involved martial arts, Healing and Meditations. However, when put under the mantle to prove his worth. His skill and endurance was found lacking. Being the only student from his set who didn’t make the cut, Kin was sentenced to an extra 5 years of manual labor under the supervision of the “sun god” (Monk senshi), who unlike all other high classed monk was fun to be around but was also a bit lazy. His method and choice of chores though a bit unconventional and quite tasking came along as fun for kin who enjoyed every moment of his stay with him. However not long after his 5 years with him, Senshi was reported dead. Killed and butchered during a spiritual battle one which lower class members like him were still un-aware of. With his trial period over and his rightful place and seat bestowed to him. 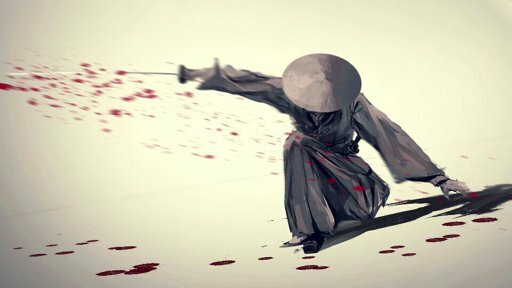 Kin began training himself in all martial art, with a drive to seek out the cause of his true master’s death. He quickly excelled over all his class mate and finally made a rank only one badge short of a master. At the age of 30 he was called out for the title of master, and although his skills and achievements were outstanding, His journey was still incomplete. Tasked to embark on a self-realization journey, Kin left his brothers and masters behind in search of his origin. His journey led him all the way to japan where he found out he was truly alone as they were both dead. A death which took their life on his day of birth, rescued and brought to the monastery by monk Senshi. Kin dug in further into Monk Senshis personal journals and found out the identity of his parents’ murderer. A beast which Senshi himself had tagged hollows. Unaware of these new spiritual beings and the concept of their existence, Kin quickly sort them out mostly on the drive of revenge and came to realize in the pool of his own blood how stupid he had been. Following the instructions on Senshis journals, Kin had managed to conjure a few of them using his well-honed spiritual presence gained through years of meditation. However, a few turned out to be too many for him to handle. Following his death, Kin was graced by the presence of a few shinigami who had come to contain the outburst sending him to soul society in the process. With his knowledge of the spiritual realm a bit better than the rest, Kin immediately sort out the Shinigamis for a chance to redeem himself from the terror he had unleashed on the living. Re-Birth of Seireite (Dawn of the new age)- although not part of the last great war fought against the Quincy race which threatened to end the world. Kin came to know the new world were peace had come to reign and quickly became part of its build up with the hope for a better tomorrow. Apart from his Zanpaktou, Kin carries around a golden staff which works in conjunction with his Reiatsu and Zanpaktou, allows him to channel his kido/energy based attacks through it. 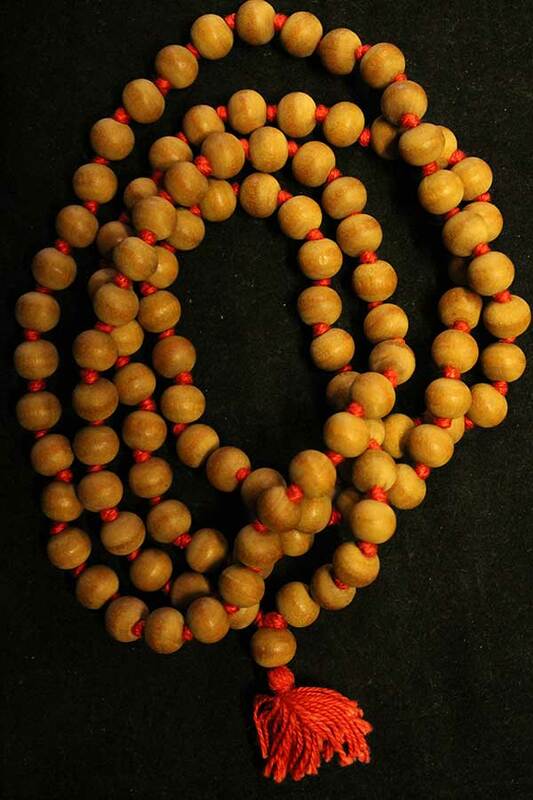 Zanpakuto appearance: Sealed in the form of a prayer bead, the beads of faith are worn around Kin right hand and unlike other beads is quite impossible to break. Inner world Appearance: A field of bamboo stick lined up along an endless pathway. Spirit Manifestation: Takes the form of a warrior monkey. Appearance: Once activated, 5 marble balls the size of a grown human’s fist manifest above Kin Ryuus head with each Marble baring a symbol and a number (#1 to #5) which signifies their purpose. During activation, the orb in question glows golden and remains golden till a deactivation of the shikai as a whole is forced. Additional Information: Each of these balls are automatically activated in an arranged sequence over a giving period of time. That’s to say the orb with the Kanji number #3 cannot be activated before #2. Previously activated ability retains a constant effect even if a new ability is due for activation. Kin can however decide to end the Shikai before a full trip can be made. However, re-activating it also means the procedure reboots and starts its journey round from the first marble orb. Description: Following the post activation of ability 1, the second ability unlocks, lending the second orb a similar golden glow as the first, bestowing upon Ryuu the ability to control surrounding Reishi as an extension of himself. As he swings his Zanpakutou(staff), he emits finetuned razor sharp golden waves in the direction of said swing, capable of reaping through concrete hardened objects with ease. This in effect requires little to no charge up time, and can be positively influenced by a spiritually rich environment. Description: Following the post activation of ability two, the 3rd orb activates resonating a golden glow, too bright for the eyes to stare at without shrinking in submission. This glow resonates throughout the entirety of kin for a brief moment before drowning down to reveal a yellow aura radiating around him like a man clothed with golden garment of fire. This aura aids his movement and maneuver allowing him extend it outward like an extension of himself or levitate off the ground when need be. His reach with this ability is limited to a distance of 15m as he can easily extend outwards an aura representation of his palm by simply doing the same with his own palm. The projected part of the aura cloak can be 4 to 5 times more expansive in size when compared to his actual human parts, making it durable enough to interact with physical matter. With the extensive part of this aura being rock solid in nature, physical impacts backed up by kin's innate strength are quite formidable. This cloak dormant/non extended part however, retains its none durable form. Description: Following the post activation of ability 3, A 4th orb adopts the golden glow in a similar fashion, but unlike the rest a Buddha statue is made visible around the Shinigami for a split second before draining into his shadow. During this period projected non kidou attacks made by the Shinigami tends to reoccur in a split seconds making it seem as if such attacks had a shadow attack following it or as if one attack were carried out by two people simultaneously. Defensively, The companion goes all the way to ward off blind spot attacks within the power range of (Kidou no 1 to 33)/ (Enhanced level attacks) on its own by taking physical form to either repel or tank such attacks at great speed, In a case where the shinigami is left totally Restricted/immobile/ vulnerable, the manifested Buhdah shadow would tank even higher level damage attack reducing the damage level of such attacks before deactivating for the rest of the battle. Its offensive effects also deactivates during this period. The damage reduction it can induce is only proportional to the amount of damage it was initially built to repel.